We invite you to join PurchasEdge, an exclusive program from HP that rewards you for being a loyal customer. What’s in it for you? Members earn points toward more than 350 HP products and services every time they purchase qualifying Original HP supplies. Is there more? You bet. Enjoy exclusive promotions and special offers throughout the year to get even more HP rewards. How does it work? Earn one point for every $4 USD 1 your company spends on Original HP ink or toner and earn additional points for recycling HP cartridges with HP Planet Partners. Once you make a purchase, we’ll follow up with PurchasEdge for you to make sure you get the points you’ve earned! How do I get started? Enroll now at purchasedge.com/join/153909 and receive a welcome gift of 150 points the first time you log in. How fast can I earn points? 2 Point values awarded for recycling depend on number/type of HP cartridges and shipment method; see point values at purchasedge.com/recycle. If you are a public sector employee, it is critical that you verify the ethics code, laws and/or regulations that govern your ability to accept things of value from companies with which you conduct business. 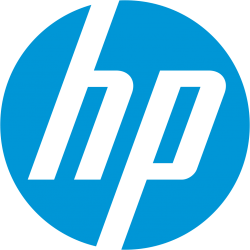 Please obtain the necessary approval from your organization before accepting any item of value from HP. The most current list of available products and their point values is at purchasedge.com/redeem. Content subject to change, visit purchasedge.com for the latest program information.